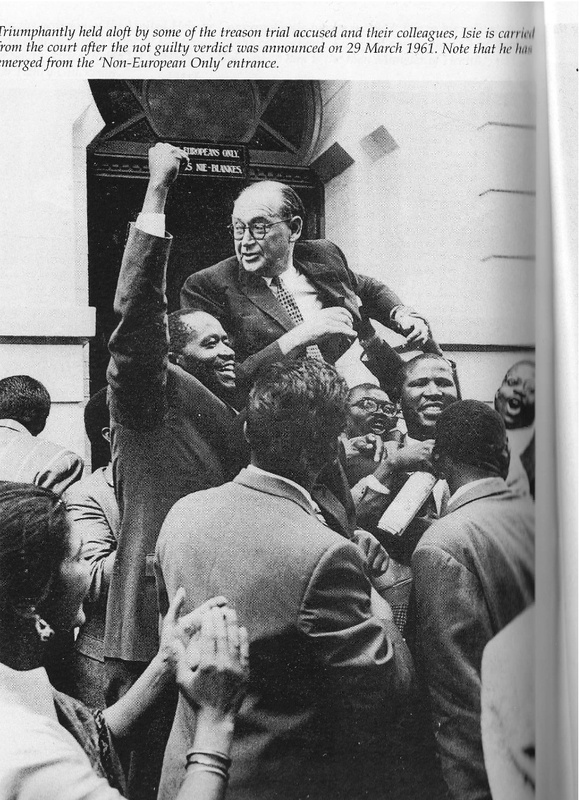 1961: Advocate Isie Maisels, after securing the acquittal of Mandela and his fellow accused. 1994: Just prior to the 1994 election, Presidential Candidate Nelson Mandela came to dinner. Mandela is flanked by Advocate Isie Maisels and his wife, Muriel Maisels. Also pictured are Helen Maisels, Israeli Ambassador Alon Liel and his wife Rachel. 2002: President Nelson Mandela unveils the plaque at the dedication of the new Maisels Chambers.